Flooded Basement, Basement Flooding solutions. Flooded Basement? Will help with Basement Flooding! Basement Flooding can happened in any city as: Toronto, GTA, Aurora, Brampton, Burlington, Hamilton, Markham, Mississauga, Oakville, Vaughan, Scarborough, Oshawa or others. Is basement flooding ruining your day? STOP it! Yes, you can stop basement flooding, and turn that useless, damp “cave” beneath your home into a pleasant, useful room. In order to do that, though, you must first identify the source, of basement flooding, and eliminate it! Actually, the process of preventing basement flooding is rather simple, but it must be done correctly. The next time you see a manifestation of basement flooding (probably during a major rain event), look closely to determine exactly where the water in entering your basement. Then go outside the house and look near that exact location. There is a high probability that you will find water pooling against the foundation or basement wall. When you find the water pooling, try to identify the factors which cause the problem. There is a good probability that you’ll find a blocked drainage swale, or a damaged / clogged downspout. By eliminating the factors which lead water to pool against the house, you will greatly reduce basement flooding. In order to actually make your basement safe, pleasant, and useful, though – “greatly reduced” basement flooding is still not good enough. When you have done all that you know how to do, and the problem is not completely solved, it is time to call in the experts. Professionals, such as those from AquaResist Inc. are trained and experienced in solving basement flooding problems. They will be happy to show you how the problem can be completely resolved. If you want, they will give you a written estimate of the full cost of completely and permanently solving your basement flooding problems. Even better news – if you contract with AquaResist Inc. to stop your basement flooding, we will give you a 25 year written guarantee. You can have complete peace of mind, knowing that basement flooding is only a memory at your house! If you have the misfortune of experiencing basement flooding, you need to know that there some things you must not do after a flood. Please understand that these things are more than just “suggestions”. Number one among things you must not do after a flood is to rush into the flooded area. Don’t even think of entering the flooded area until you have turned off and locked out any potential source of electrical power. To fail to do so is to risk electrocution! Number one on the list of things you must not do after a flood is – you must not electrocute yourself! Number two on the list of things you must not do after a flood is, “You must not relight waterlogged gas appliances”! Modern gas appliances are equipped with “failsafe devices” which are intended to prevent gas flow in the event of pilot / igniter failure. The concept is great, but water damaged “failsafe devices” have been known to fail. This author can tell you from personal experience – It is no fun to find yourself inside of a gas fueled fireball when the failsafe device fails! Furthermore, the consequences of such accidents don’t quickly “go away”. High on your list of things you must not do after a flood is that you must not attempt to use any appliance or tool which has been submerged or waterlogged until you have had a qualified professional evaluate it. If your furnace, water heater, washer, dryer, or any other appliance or tool has been damaged by a flood, consult with a well trained / qualified professional before you attempt to use it. 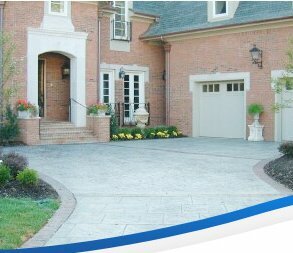 The experienced professionals of AquaResist Inc. are well qualified to evaluate your situation, and to advise you concerning what may safely be used. To stay safe and healthy, make it a standard policy – things you must not do after a flood should include: you must not fail to call AquaResist Inc! If you live in the Toronto or any GTA area and have a basement, there’s a strong probability that at some point, you’ve found yourself dealing with basement flooding. 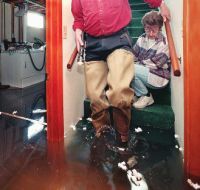 Such problems are completely avoidable, but most homeowners don’t notice factors which may cause problems until they find themselves dealing with basement flooding. When the problem manifests in your basement, it’s a bit too late for prevention – but at least, you can respond wisely. The first step in dealing with basement flooding is to turn off power and gas at the source. Yes, this will no doubt increase the inconvenience for you and your family, but safety must take precedence over convenience. Flooded wiring and / or gas appliances can be hazardous, even deadly. Do not hesitate. Isolate potential power and gas sources before they hurt you or your family! No other action is more important in dealing with basement flooding. When you have assured the safety of your family and yourself, try to determine the source of the problem. Backed up drains, damaged rain gutters / downspouts, or blocked surface drainage constitute the three most common causes of basement flooding. Any efforts which you make in dealing with basement flooding are guaranteed to fail unless you eliminate the source of the problem. Homeowners who are not absolutely sure of their abilities and resources should seek professional assistance. Experts such as those from AquaResist Inc. can quickly and efficiently help you to stop the flooding and remove the water from your basement. They will evaluate your appliances and infrastructure to assure that your utilities may be safely turned on. A call to AquaResist Inc. is a prudent and reasonable step in dealing with basement flooding. Keywords: Flooded Basement, Bassment Flooding, Toronto, Mississauga, GTA, Solution with Flooded Basement.